September 30, 1929: “The Three Gumm Sisters” performed at the Kiwanis Club in their hometown of Lancaster, California. No other information about the engagement is known. 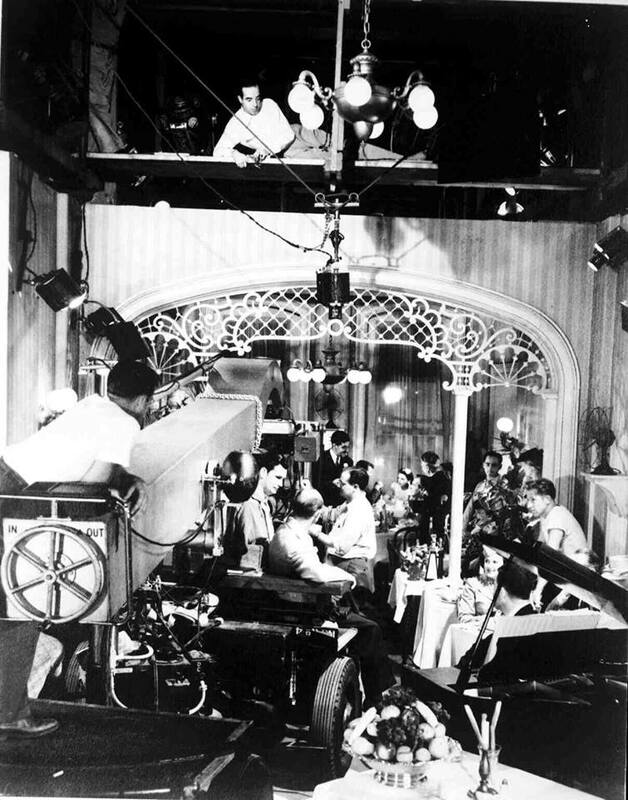 September 30, 1938: The first day of prerecordings for The Wizard of Oz. 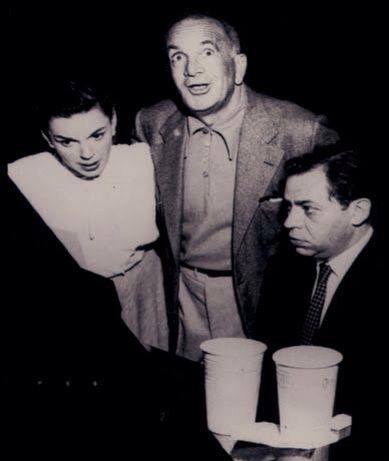 According to the Daily Music Reports, Judy, Ray Bolger, Buddy Ebsen, and Bert Lahr, prerecorded “If I Only Had A Brain,” “If I Only Had A Heart,” “If I Only Had The Nerve,” “Wonderful Wizard of Oz” (“We’re Off To See The Wizard”) (the duo, trio, and quartet versions). 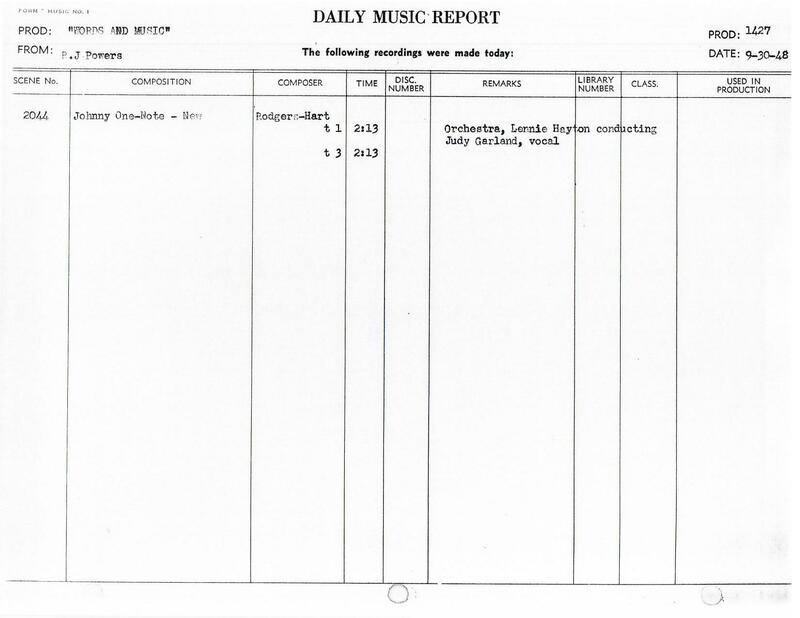 Note that the bottom of the second page documents the recording session for the dance break (orchestra only) of “If I Only Had A Brain” from October 1, 1938. 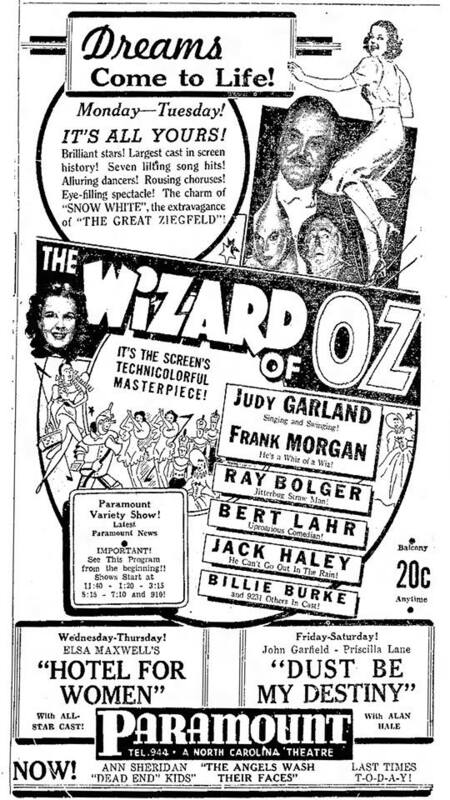 September 30, 1939: No, they don’t mean that The Wizard of Oz is a Paramount film, just that it’s playing at the Paramount Theater in Burlington, NC. 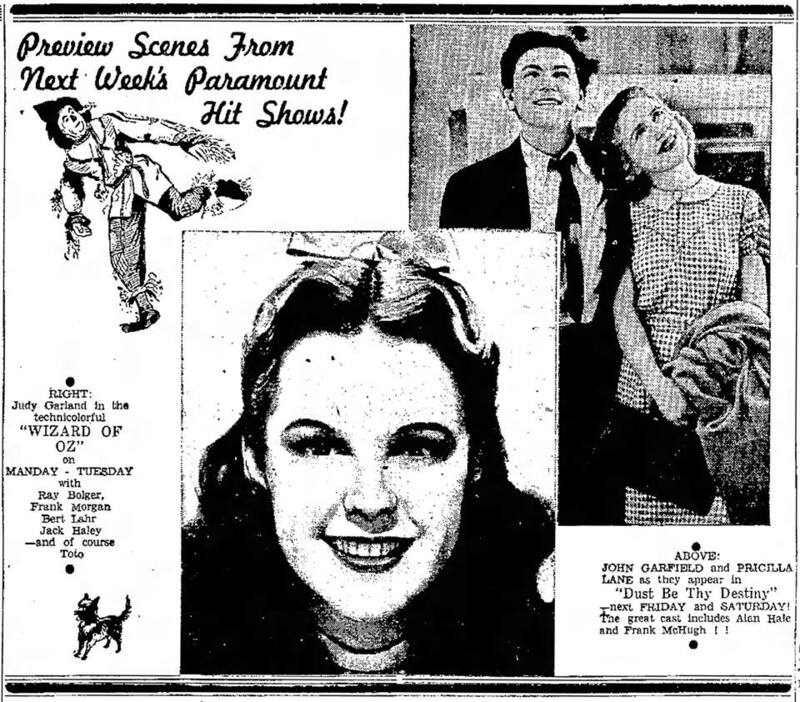 September 30, 1939: The “Toronto Star Weekly.” Scan provided by Kim Lundgreen. Thanks, Kim! 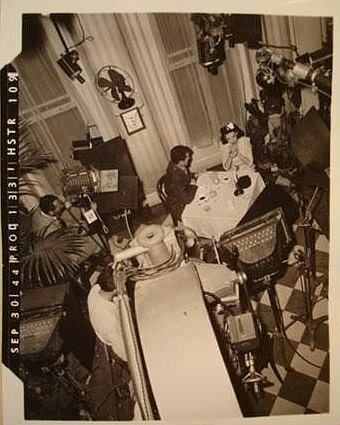 September 30, 1941: Filming continued on the “Finale” sequence of Babes o Broadway. 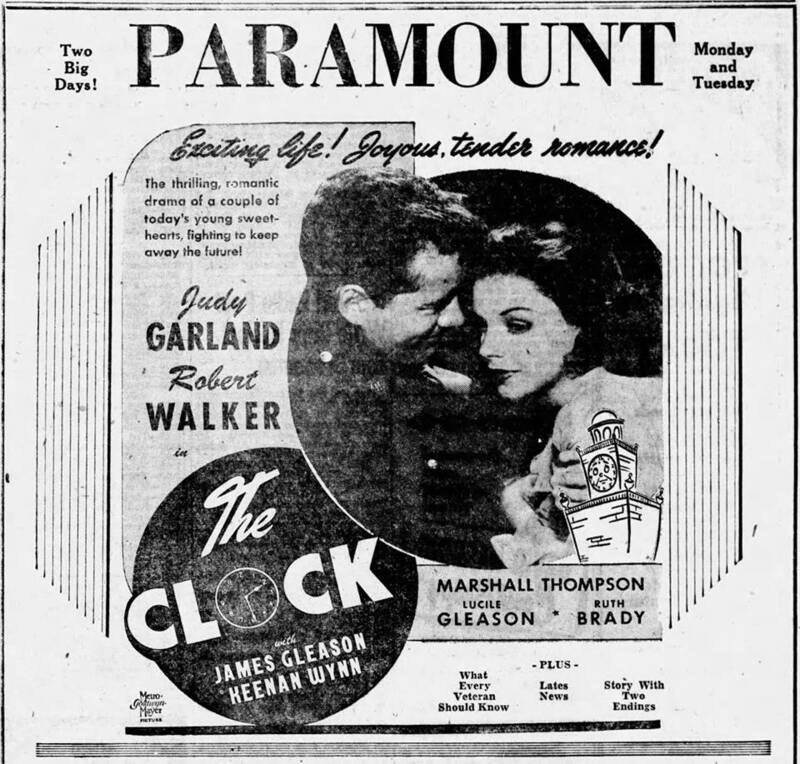 Time called: 9 a.m.; lunch: 12:30-1:30 p.m.; time dismissed: 5 p.m.
September 30, 1944: The Clock filming continued with scenes shot on the “Interior Small Restaurant” set. 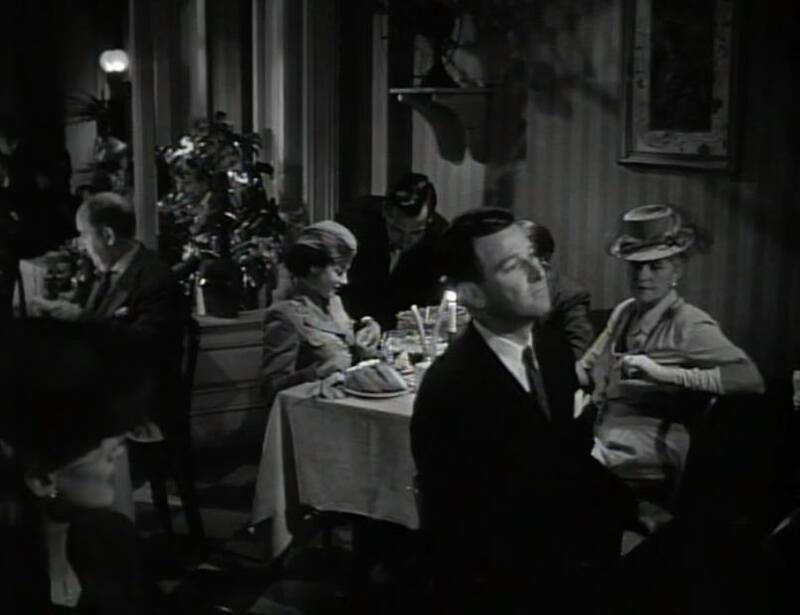 Judy’s musical mentor, Roger Edens, has a cameo as the restaurant’s piano player. 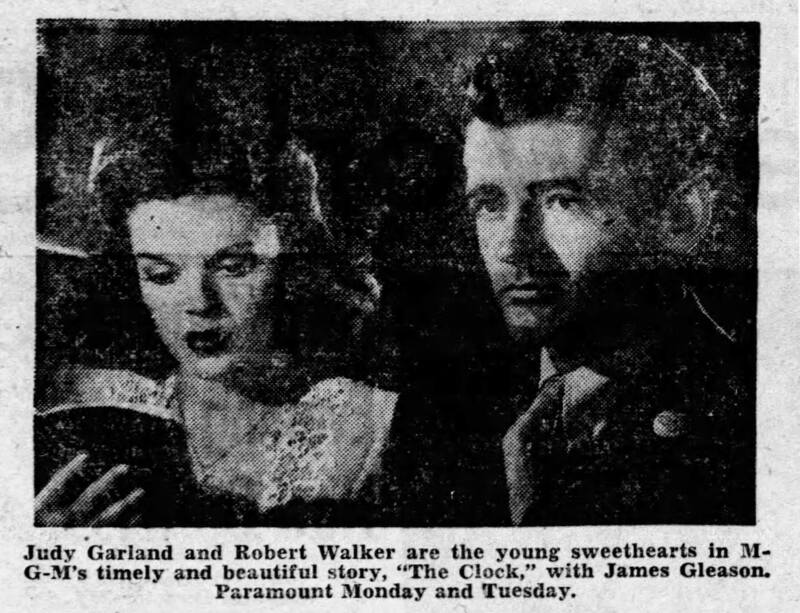 Time called: 10 a.m.; time arrived: 10:14 a.m.; dismissed: 6:15 p.m.
September 30, 1945: This wonderful review, photo, and advertisement appeared in the Jackson, TN newspaper, The Jackson Sun. 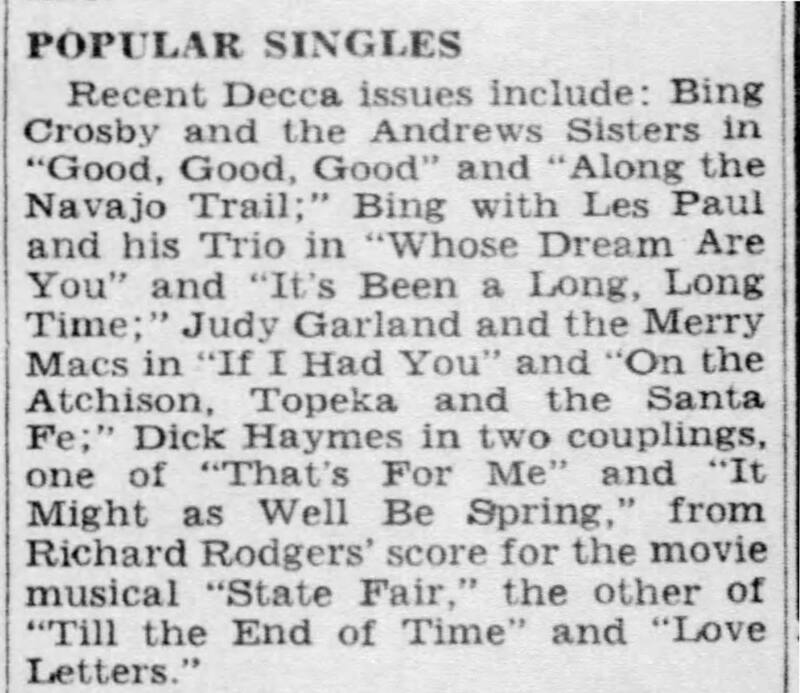 September 30, 1945: Judy’s Decca single of “On The Atchison, Topeka, and the Santa Fe” with “If I Had You” (both with The Merry Macs) on the B side was a hit! 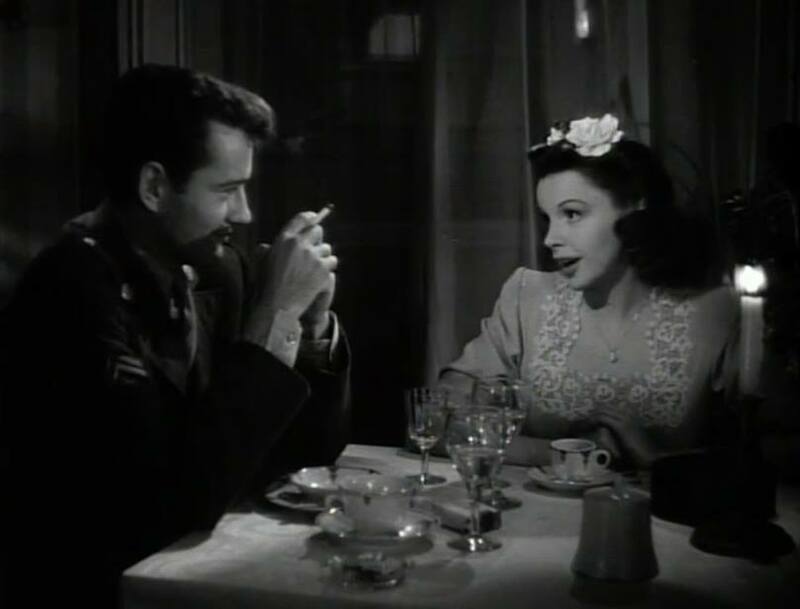 Both were recorded in New York on July 7, 1945, and released on September 9, 1945. 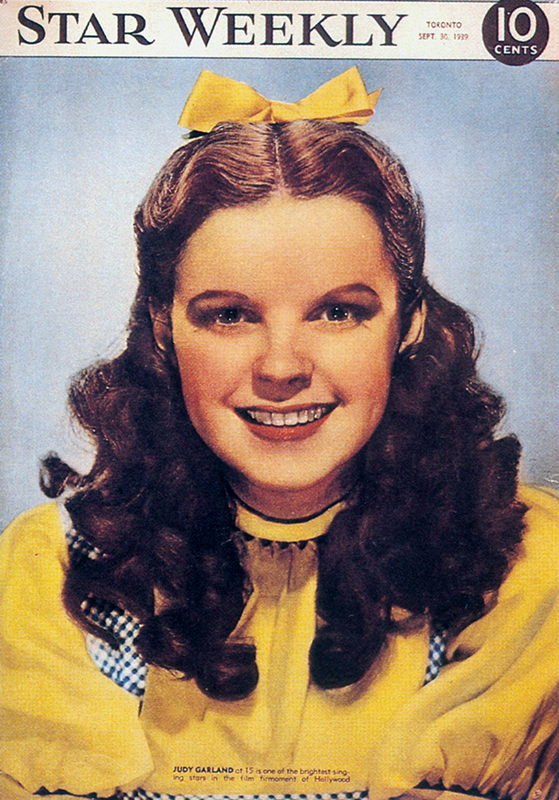 Check out The Judy Garland Online Discography’s Decca Records section for more about Judy’s Decca recordings. 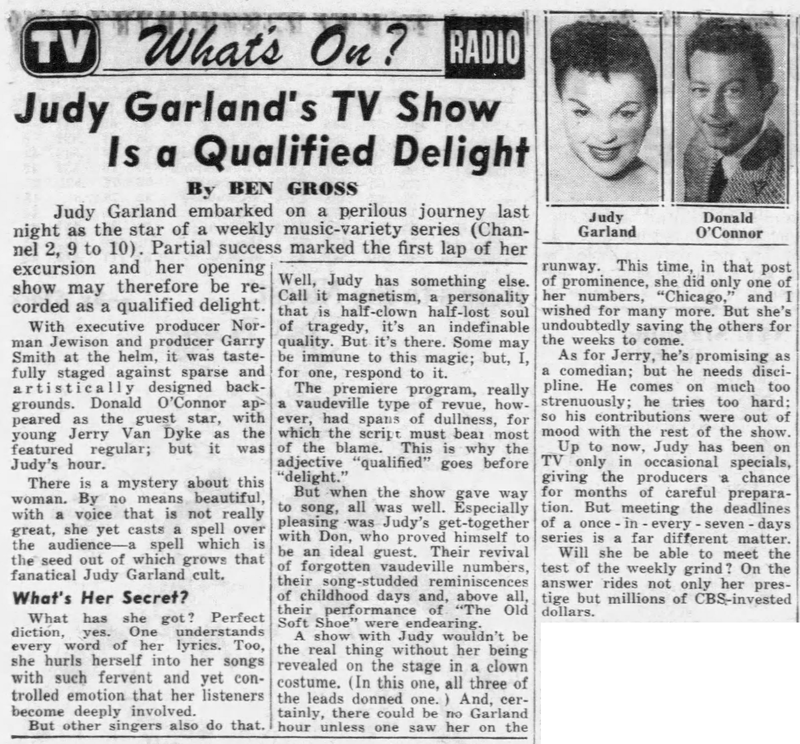 September 30, 1948: Judy pre-recorded “Johnny One Note” for her encore number in Words and Music in which she guest starred as herself. 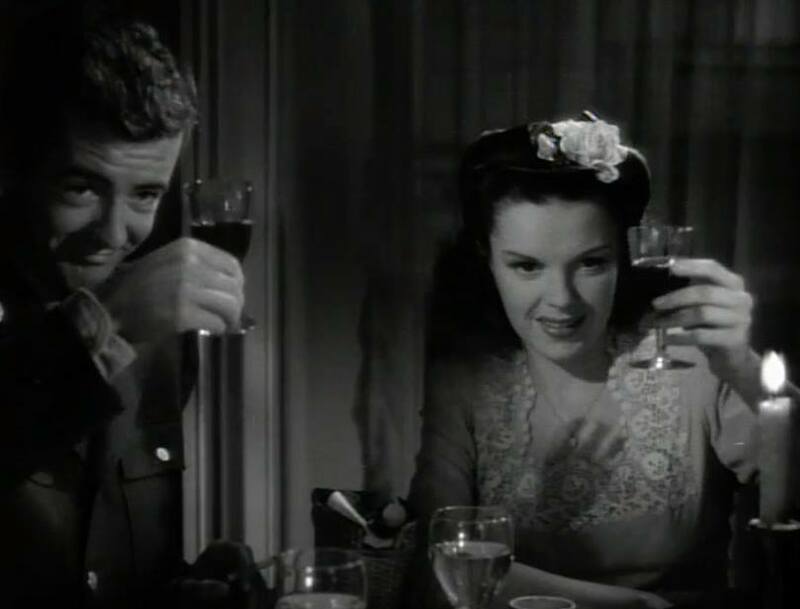 The session took a short 30 minutes, lasting from 11 – 11:30 a.m.
Later that evening, Judy appeared on the NBC Radio show, “Kraft Music Hall” with Al Jolson and Oscar Levant. She sang “Johnny One Note,” a partial rendition of “Over The Rainbow” and, with Al Jolson, “Pretty Baby.” The audio from the show survives and is the only known recording of Judy and Jolson singing together. 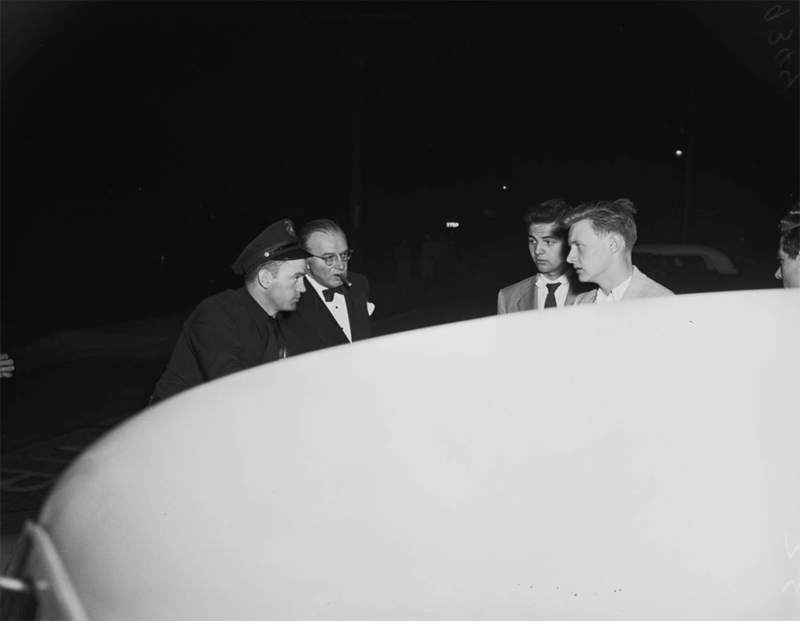 September 30, 1951: At 2 a.m., Sid Luft was involved in a minor car accident. Judy ran to the scene. No one was seriously hurt. 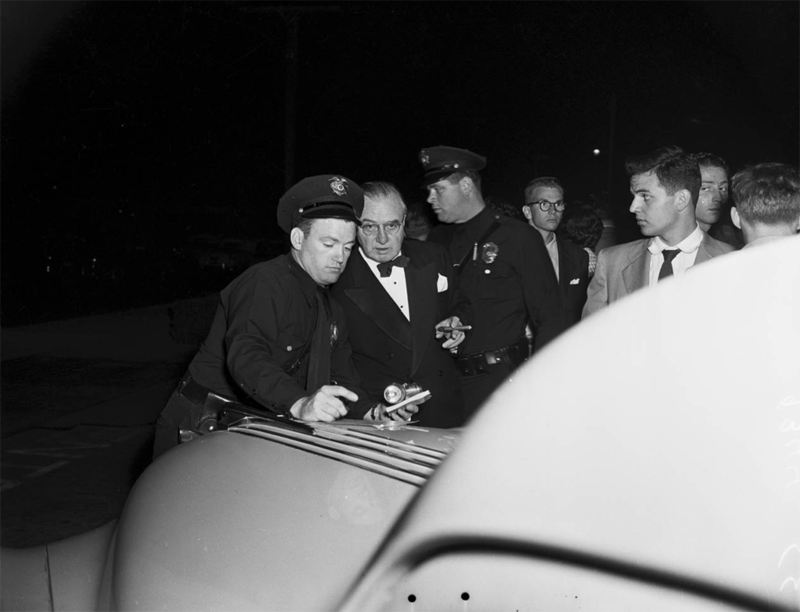 Sid, who was drunk, ran a red light and hit a car being driven by Allan Gordon Thompson and he, in turn, hit the car driven by Charles T. Neale. Sid was booked on a drunk driving charge and released on $100 bail. 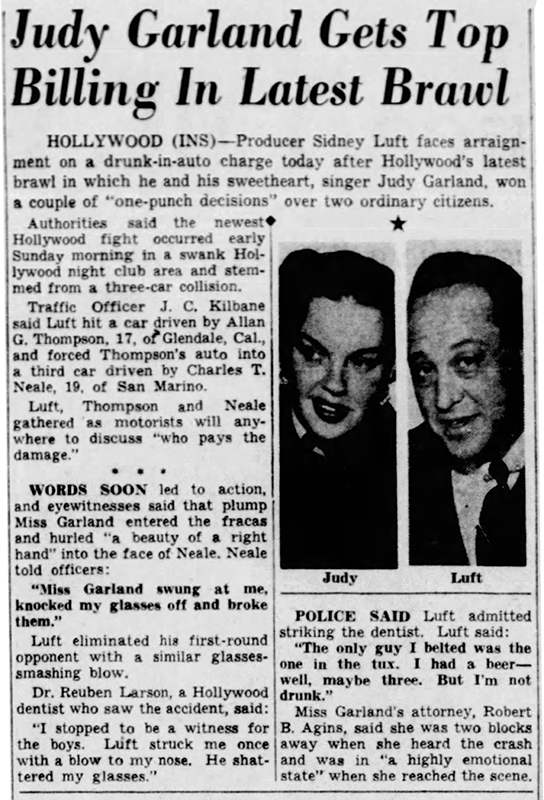 The newspapers reported that both Judy and Sid “took one punch each” at two men. 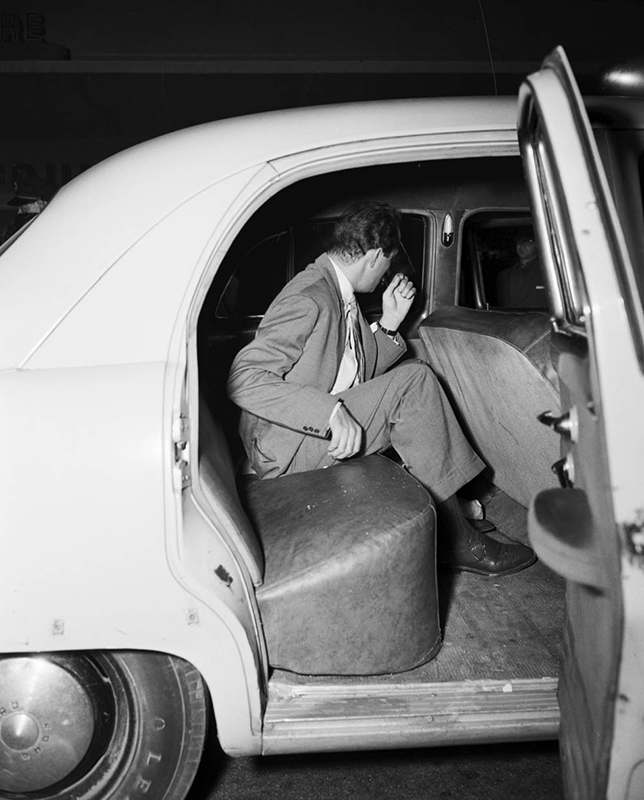 Sid punched the witness, Dr. Rubin Larson, who got out of his car to see what was happening. 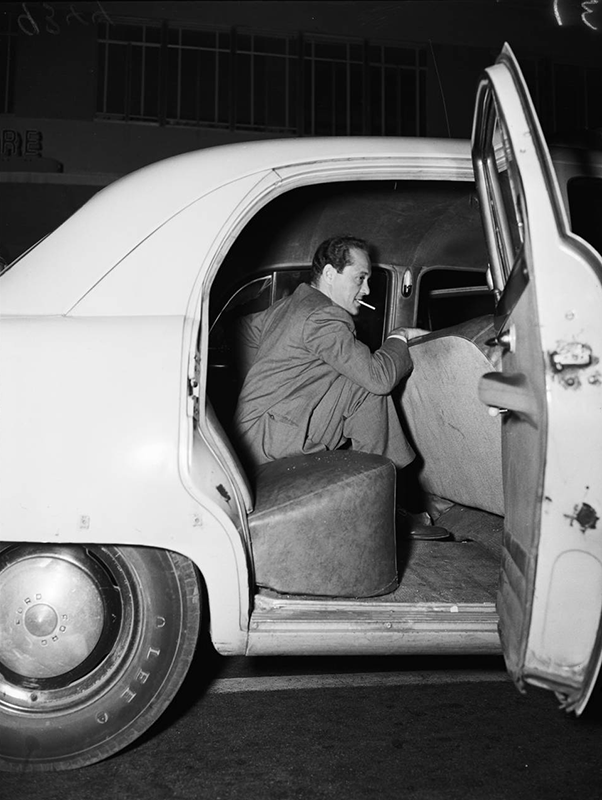 Neale was arguing with Sid about whether he should stay at the scene and wait for the police to file a report. 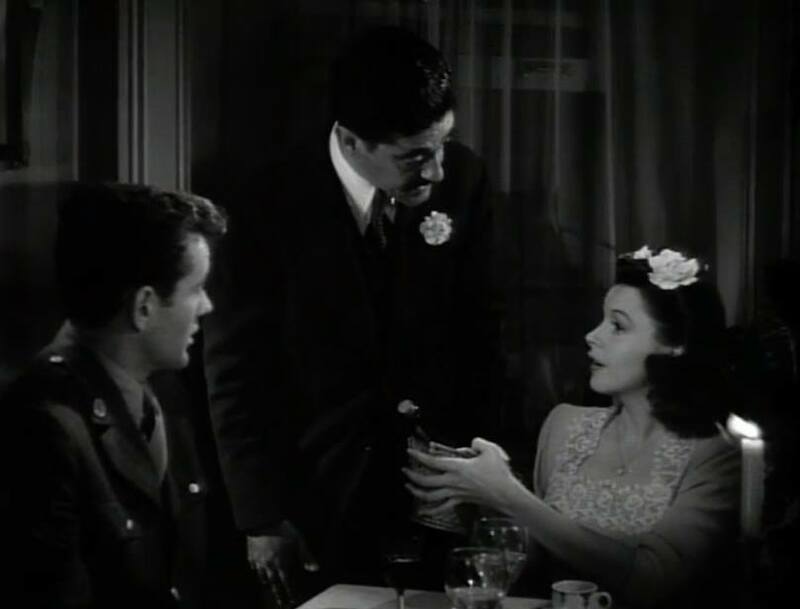 Judy became agitated and punched him in the nose, breaking his glasses. 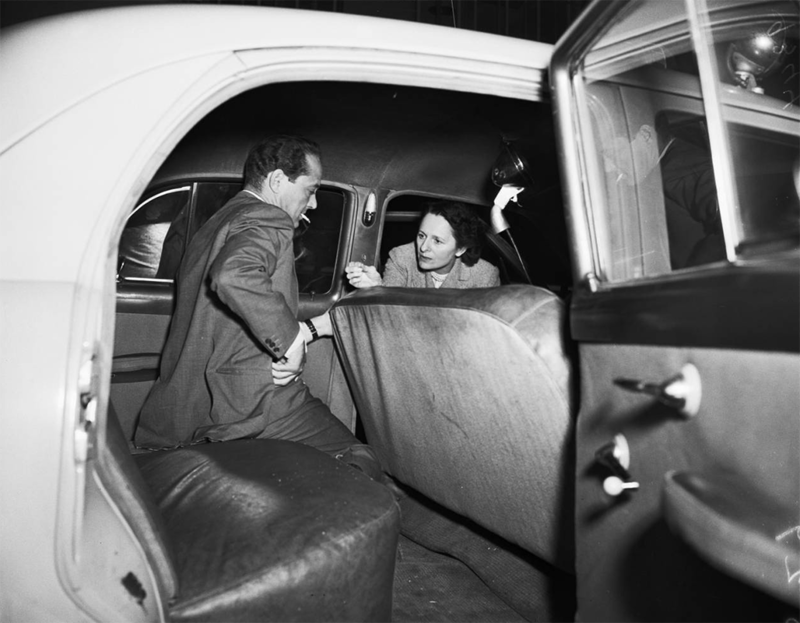 The photos featured here were probably taken after Judy the scene before the police showed up. They show Sid, along with Officer James Kilbainm, Dr. Rubin Larson (witness) and the occupants of the other cars, Thompson and Neale. 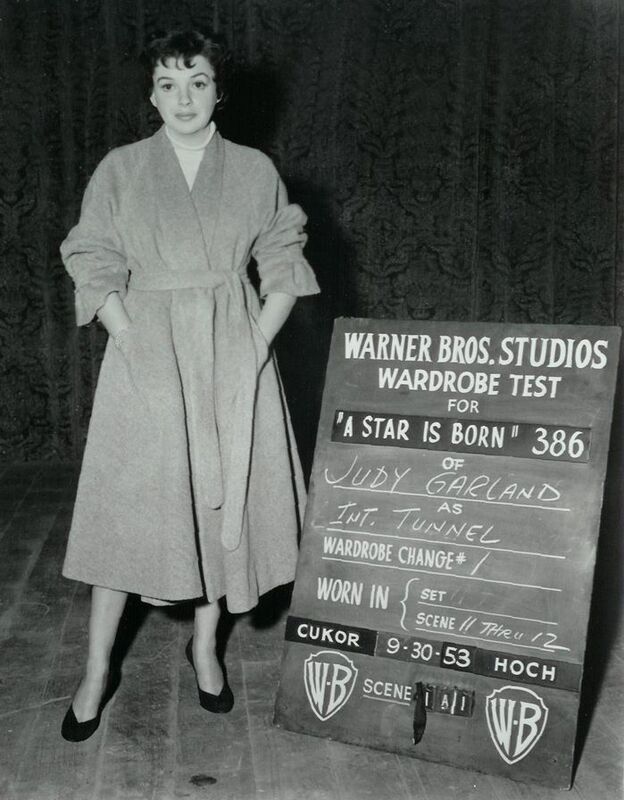 Judy had a radio appearance later that day at the NBC studios in Los Angeles. She sang “You’re Just In Love” with Bing Crosby for the “United Red Feather Campaign of America” which was part of the “United Community Chest Campaign.” Others in the show were President Harry S. Truman who provided a special address, and Jimmy Durante, Mario Lanza, Dinah Shore, Tony Martin, Richard Warfield, and Don Wilson. There is no extant recording of this broadcast, but here’s Judy and Bing’s “You’re Just In Love” from “The Bing Crosby Show” recorded approximately January 23, 1951, and broadcast on February 7, 1951. 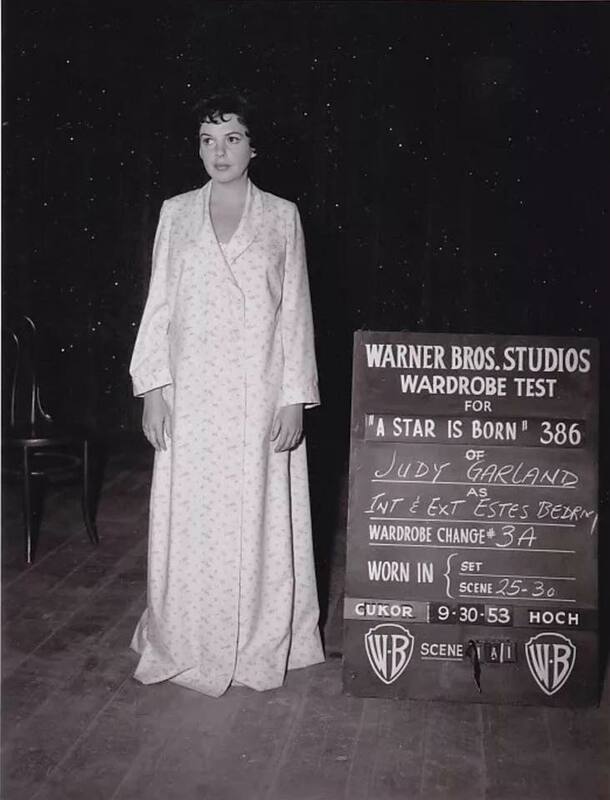 September 30, 1953: Judy posed for these costume tests for A Star Is Born. Filming didn’t begin until October 12th. 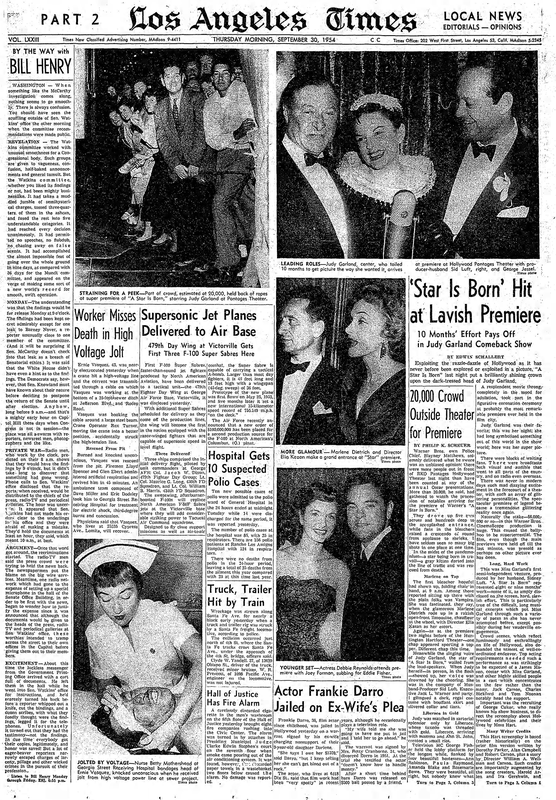 September 30, 1954: The LA Times gave Judy the front page the morning after the premiere of A Star Is Born took place at the Pantages Theater in Hollywood the night before. 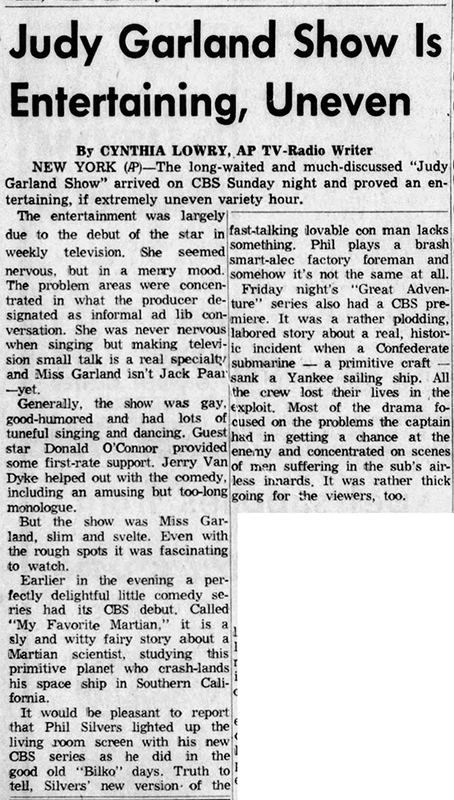 September 30, 1954: “Judy Fans Hysterical”!!! Note that some of the articles are the same although edited while some are complete, they’re repeated here due to the photos that were attached to each particular article. 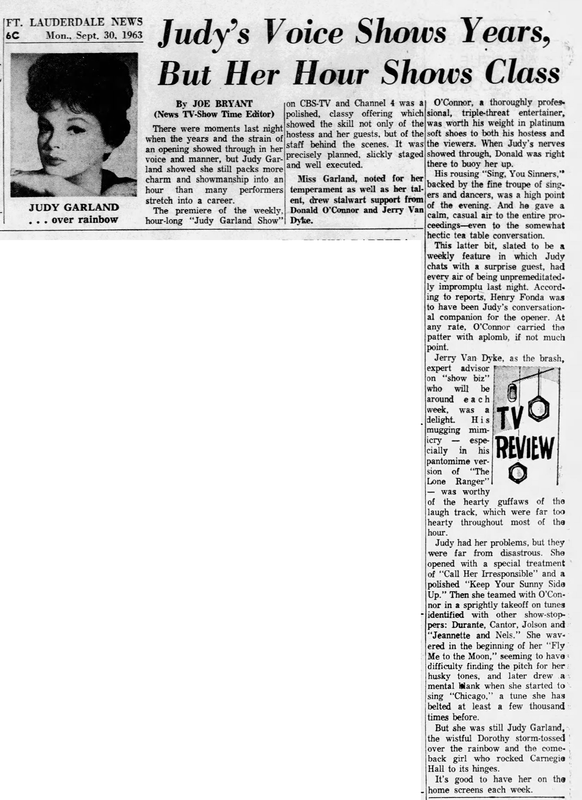 September 30, 1963: The reviews of the previous night’s premiere of “The Judy Garland Show” were in and they were favorable. September 30, 1967: Here’s a fun photo of Judy arriving in Indianapolis, Indiana, for her October 1 & 2 shows at Clowes Hall. Great entry (but what else is new?). “A Star is Born”: I’m in the minority in that I find Judy looking her slimmest and most attractive (in hair) in the TAN version of ‘The Man That Got Away.’ I’m glad the number was shot a third time, as the lighting is much better, but I feel she looks STUFFED into that blue dress. I’m also not crazy about the “ponytail” hairdo. But what a performance! (physically and vocally). Good luck, Lady Gaga! 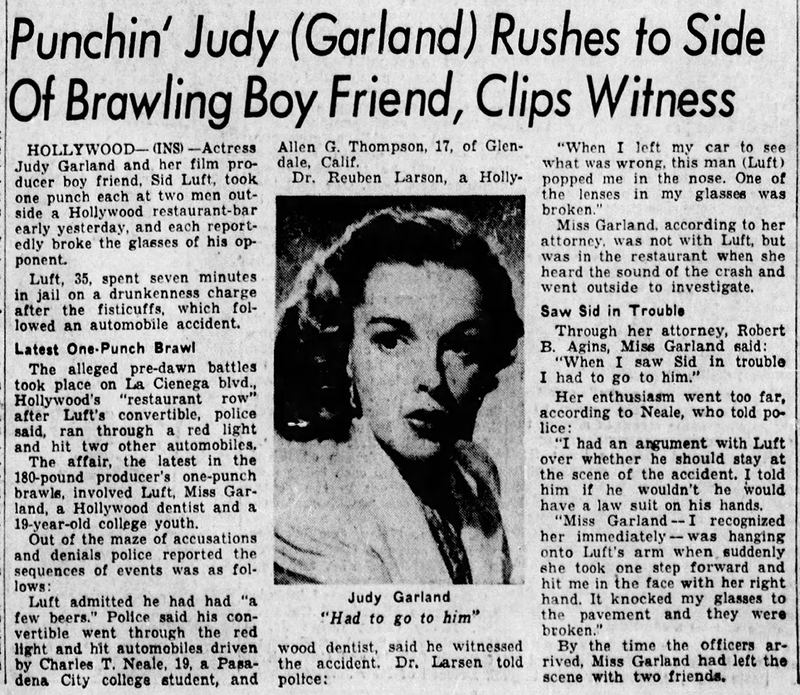 The 1951 traffic brawl: This is, in my opinion, the single ugliest piece on Garland, and really reveals Luft at his worst. What an embarrassing piece of copy on her. 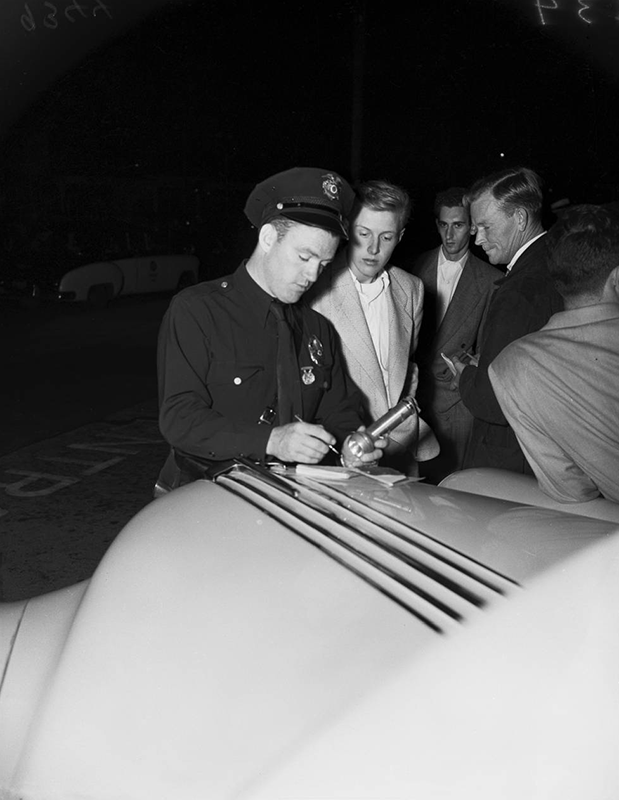 Luft could’ve killed someone, and it’s mind-boggling he got away with just a 100 dollar fine! I think they went with the right look for the final film version of “The Man That Got Away.” The brown version (as I call it) is too brown although Judy looks very good. Scott, are all these wonderful alternate takes available for downloading on the The Judy Room? I just love, love, love hearing them. I have to check, but are they on the 2 disc Rhino Records release of the film?